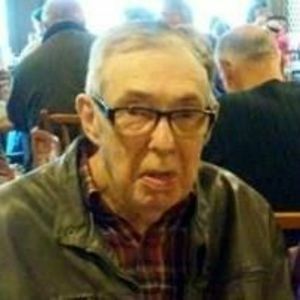 TROUTMAN- William H. Hobbs, 79, went home to be with the Lord on January 7, 2018 at home surrounded by his family. Born on November 22, 1938 in Iredell County, NC, he was the son of the late William Henry and Jettie Clodfelter Hobbs. He was a member of Northview Freewill Baptist Church for over 50 plus years. He was an ordained deacon and taught Sunday school. William retired from Southern Screw after 30 years and Iredell/Statesville Schools after 5 years. He enjoyed playing the steel guitar, banjo, dobro, guitar, mandolin and piano. He also sang gospel music with Gospel Traveleers for 40 years. He loved to go camping and was an accomplished artist. He leaves behind to cherish his memory his loving wife of 58 years, Dorothy Hobbs; daughters, Patricia (Jeffery) Connolly and Karen Hobbs Flowers; grandchildren, Jason (Tralaina) Connolly, Jody (Kristen) Connolly and Jonathan Flowers; great-grandchildren, Breanna Connolly, Isabella Connolly, Alexus Connolly, Caden Connolly, Teanna Connolly, Dominic Connolly, Chloe Sellers and Austin Sellers; sister, Onamegia Adams; niece, Annette (Chris) Hollar and many other loving family members. A funeral service will be held on Thursday, January 11, 2018 at 12pm at Northview Freewill Baptist Church with Rev. Leroy England and Rev. Allen Fredell officiating. Burial will follow at Iredell Memorial Gardens. The family will receive friends from 6-8pm Wednesday, January 10, 2018 at Bunch-Johnson Funeral Home. Memorials may be sent in Williams name to Donation Processing, The Michael J. Fox Foundation, P.O. Box 5014, Hagerstown, MD 21741-5014. Memories and condolences for the family may be left at www.bunchjohnsonfuneralhome.com. Bunch-Johnson Funeral Home is honored to be serving the Hobbs Family.